Song considers works that address the riots and often the traumatic place of the Korean American community within them: the independent documentary Sa-I-Gu (Korean for April 29, the date the riots began), Chang-rae Lee’s novel Native Speaker, the commercial film Strange Days, and the experimental drama of Anna Deavere Smith, among many others. He describes how cultural producers have used the riots to examine the narrative of national decline, manipulating language and visual elements, borrowing and refashioning familiar tropes, and, perhaps most significantly, repeatedly turning to metaphors of bodily suffering to convey a sense of an unraveling social fabric. 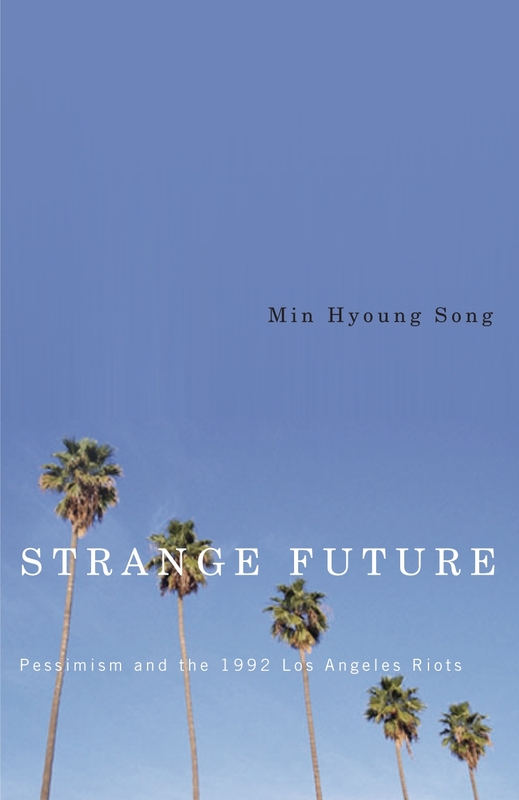 Song argues that these aesthetic experiments offer ways of revisiting the traumas of the past in order to imagine more survivable futures. More information.